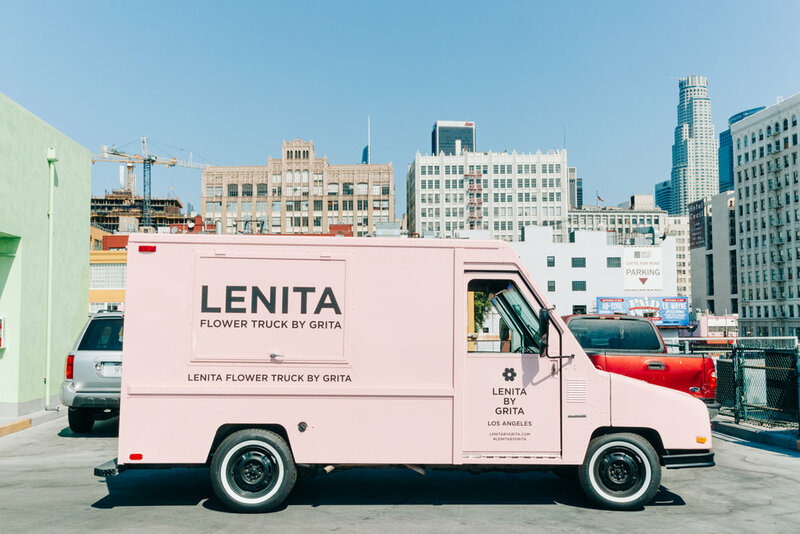 LENITA is more than a pink flower truck; it’s a design project on wheels by studio GRITA. such as David LaChapelle and Ren Hang. In 2017, feeling the need to merge design and nature, Nemuel bought a 91’ Dodge Aeromate truck, tuned it up, and filled it with fresh blooms. Then whenever he feels like escaping away from the graphic design routine, there is an excuse to head to the Flower Market, hand-tie arrangements and drive around the city making seasonal bouquets available for people whom, like him, love to stop and smell the flores. This project is called LENITA, his mother’s name.